A few days ago, video of a policeman asking a toddler to take off a black jacket ahead of an event at Biswanath district attended by Assam chief minister Sarbananda Sonowal went viral provoking sharp reactions from various quarters. The government lost no time in ordering an inquiry into the episode when cornered by the Opposition in the state Assembly. BJP’s confidence stemmed from the vote share (42 percent) garnered in the panchayat polls and its victories in the three autonomous council elections last month. 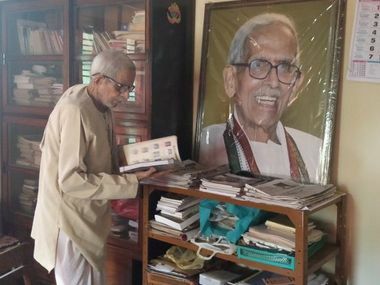 In addition, there was intra-party politics which unleashed a game of one-upmanship among the state party leaders to rise higher in the esteem of the Rashtriya Swayamsevak Sangh (RSS). 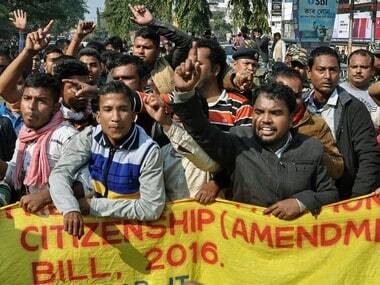 Finance minister Himanta Biswa Sarma thundered at a rally that the agitation against the Citizenship (Amendment) Bill 2016 was being orchestrated by militant outfits. State BJP president Ranjit Das blamed the Congress and Communists for the uproar while chief minister Sarbananda Sonowal termed it as a "motivated campaign" to derail development in the state. All these statements have failed to douse the fire which has also spread to the neighbouring states of the Northeast. Perhaps, BJP expected to create a rift between the Hindus and Muslims in Assam but what transpired was sharpening of the existing divide between the Assamese and Bengalis. Likewise, the AGP's exit from the coalition government in Assam was quite expected but what was startling for the BJP was the attendance of two chief ministers and as many as eleven parties from across the region at the convention in Guwahati against the bill. The future of the North East Democratic Alliance (NEDA) is in doldrums at a time when the general elections are a couple of months away. BJP president Amit Shah had earlier announced that the NDA’s target would be to win 21 out of the total of 25 Lok Sabha seats in the Northeast. Clearly, a bit of deft handling, sincerity and foresight from the BJP might have averted the unrest that has engulfed large parts of Assam and the Northeast. 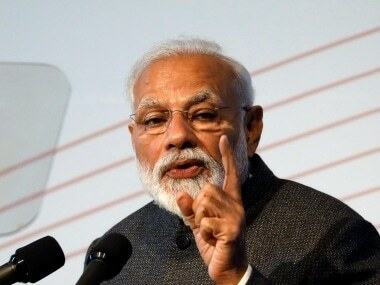 Prime Minister Narendra Modi’s commitment on the eve of the last general elections that illegal migrants would have to leave Assam still echoes in speeches and discussions on the subject. Not only was the NDA government perceived to be sitting idle over the issue, but the bill gave the BJP an image that was no different from the other parties whose sole interest was to avoid taking hard decisions on illegal migrants. “Hopes have been dashed and people feel cheated. If the government is really concerned about constitutional safeguards to the indigenous communities, then it ought to have initiated some steps much earlier and not in the eleventh hour. What was the government doing for the last four-and-a-half years?” said Professor Chandan Sharma who teaches sociology at Tezpur University. Sharma’s views are shared by some senior functionaries of the BJP in Assam who feel that clause 6 of Assam Accord which stipulates safeguards ought to have been implemented years earlier. “There was ample time to work out a strategy for implementing the clause which entails reservation of land, jobs and seats in elected bodies. Opposition would have been much less and the situation manageable if the bill had been brought later,” claimed a party member who was a former legislator. 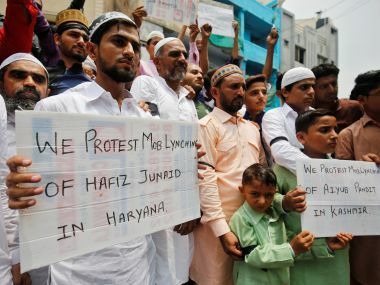 The situation turned worse after the Centre proposed a committee to implement the clause which was interpreted as a “lollipop” to counterbalance the adverse reaction from the bill. Most of the members who were nominated have declined the invitation leaving the government highly embarrassed. The state government has also maintained a surprising silence over the Brahma Committee Report on securing land rights for the indigenous communities. The committee had reiterated the danger from illegal migrants and had suggested a gamut of measures to stem the menace. 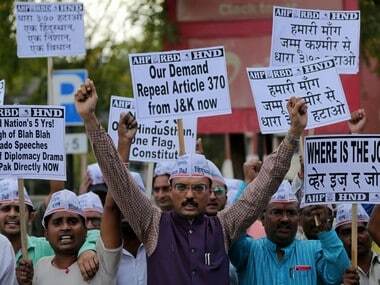 BJP is on an overdrive to control the damage in Assam and the Northeast. Not surprisingly, cultural icon Bhupen Hazarika has been posthumously conferred the Bharat Ratna and Modi is scheduled to visit Assam, Arunachal Pradesh and Tripura on a whirlwind tour starting 9 February for inaugurating a slew of projects. More projects and commitments can definitely be expected from the BJP ahead of the general elections. The decision to grant Scheduled Tribe (ST) status to the six communities in Assam has already been taken and a separate category would be created for them at the state level without causing changes in the existing list of the plains and hill tribes. The group of ministers has begun discussions with the stakeholders and a report will be submitted on 15 February. The next step would be to convert the report into a bill and pass it in Parliament which does not appear feasible ahead of the elections. Speculation is rife among some sections that an ordinance might be issued before the code of conduct becomes comes into effect next month. The possibility of the peace process with the pro-talks ULFA being fast tracked cannot be ruled out since the charter of demands placed before the government covers a range of issues including constitutional safeguards. Last year, chairman Arabinda Rajkhowa had declared on a TV show that negotiations have been completed and an agreement would be clinched soon. The demand of ST status to the six groups had stalled the talks for a long time as the home ministry had developed cold feet following the opposition from other local groups in Assam. However, a majority of functionaries of the pro-talks ULFA are against continuation of negotiations with the government if the bill is passed in Parliament.